How are Hand Fractures Evaluated? On physical examination bone deformity must be assessed. Twisting of bone fragments can result in rotation of digits with overlap of fingers during flexion. Angulation of a fracture can likewise cause finger overlap. Xray examination is needed to determine the details of a fracture. 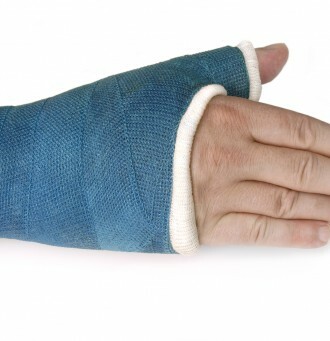 Treatment of a Hand Fracture varies greatly depending upon the characteristics of the break. The presence of multiple fragments, joint involvement, or accompanying soft tissue compromise complicates treatment and prognosis. A fracture extending to a joint surface must be precisely repositioned or arthritic changes may develop in the future. Treatment options include splinting, casting, or surgical intervention. Hand therapy is started promptly to lessen joint stiffness. To have your fracture evaluated and treated by Dr. Steven Shoen at one his two office locations ( Edison-Metuchen area or Monroe Township) call 732-632-6090.